And why always god choose the best ones first. FISa and FIKB paradox. But an old friendship is stronger than organisations. Lost savate son with strong abs "muscles". I like French interpretation of FIS official tournaments. In 2006 there was European Cup - Assaut where Umberto Musso was the winner. I cannot remeber this tournament because in 2006 there was World assaut championship. 2007-2010 winner of Italy savate elite tournament? Umberto was happy if he was involved in at least one per year savate tournament in Italy. Makes me laugh. Italian elite savate. Incredible. 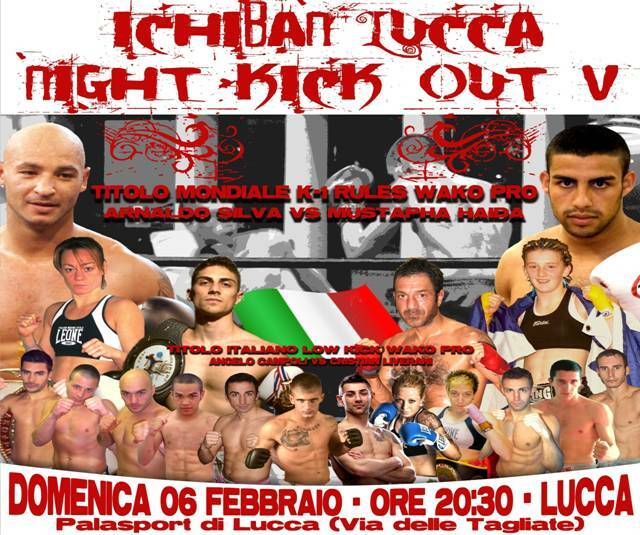 But the best thing here is Sebastien Farina working for FIKB - Italian kickboxing federation, who prepared also Musso. His cooperation with Domenico Rutigliani Team is again FIKB - FISa paradox. Smart French behaviour. It is a phrase. K1 Grand Prix, created by Mr. Kazuoshi Ishii more than 10 years ago, the famous Japanese circuit which have been the dream of hundreds and hundreds of top kickboxing fighters in the world, have stopped its activities. The reasons were different: from the fact they were full of debts (in the last two years the best fighters were hardly or not paid at all) to the lack of enough sponsoring support for their future shows. Immediately after, also “It’s Show Time” , another important circuit in the hands of a Dutch Group, cancelled their most important event scheduled in the famous Amsterdam Arena and that for years it had attracted 20.000 spectators. The Golden Glory, one of the most important Dutch gyms – partners of Mr. Ishii in Holland, also cancelled their super-heavy tournament scheduled in the next few months. REMEMBER WHAT THE MAYOR OF AMSTERDAM VAN DER LAAN SAID ABOUT CRIMINAL AND PROFESSIONAL FIGHTS ORGANISED IN AMSTERDAM? 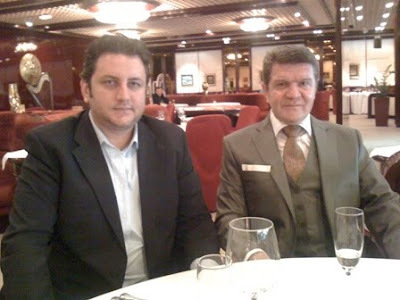 Belgrade just hosted a meeting where WAKO president Ennio Falsoni met the promoter of the first event of the series, Mr. Borislav Pelevic (SILVER GLOVE SAVATE - EDUCATED - INSEP PARIS) who took him and their guest, Mr. Eduard Irimia, the most famous Romanian Kicboxing promoter (he has been promoting K1 tournaments for more than 10 years now and he was also a partner of Kazuoshi Ishii), to see the sport venue which will host the team match Serbia Vs. Greece on next March 5th. The venue is the same which hosted the Wako World Championships in both 2001 and 2007, and so it fits perfectly to WAKO needs being capable of containing 8000 spectators. But during the meeting, Ennio Falsoni found also an agreement with Mr. Irimia who will join forces with Wako and Wako-Pro. How? He was named “Executive Producer” of the 2011 Wako-Pro World Grand Prix. Thanks to his long experience in TV productions, he will supervise all Wako-Pro events and will take care of the setting of the sport-hall, the lights, the choreography, the TV production creating that uniformity which is a must to reinforce the Wako-Pro brand. Mr. Irimia will also include only Wako-Pro title fights in his own shows (he has an exclusive TV contract with ProTV, the most important Romanian TV company which has links with dozens of different international ones) and will soon try to cooperate with Wako in the ring sports. Mr. Irimia, promoter of a K1 super-heavy tournament called "SuperKombat", will allow any Wako fighter to enter his circuit . He will also be available for all our members wishing to get any kind of support in the promotional aspects of their activities. Semi finals and final will follow from September to December 2011. It is logical that the first ever Wako-Pro World Grand Prix have already created a lot of enthusiasm in all WAKO kickboxing lovers and there are requests from different countries, to try to do the same in at least 4 other continents in order to create a real universal tournament which, thanks to the TV exposure it will create, will generate a larger and larger credibility with all the benefits that means. In a city Karlovy Vari learned Wu-shu (Kung-fu). Studied asiatic and historical fencing. Active some years in a historical performing group called Fictum. His sword speaks German, French and Italian school. Probably Apache group and Zsolt Sandor (Hungary) knows him very well. Canne de combat czech group exist several years but unfortunatelly there is no Czech savate federation at the moment. In the same situation is non existing Slovak savate federation. Don't worry savate you can teach without any licences or control of FIS. Especially Canne de Combat. Savate is a free sport influenced from everybody. Known from Olympic games 1900 Paris. Early sokol movement spread Canne de combat in that kind of technical package. BEES 1 exam. Thanks to DEMOUCH Michel. 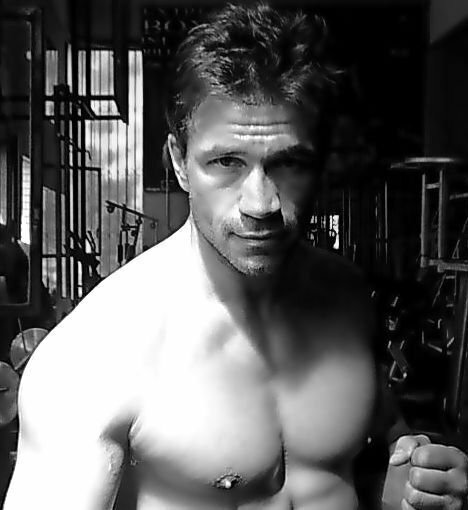 About equipment, sponsors and fighting teams that some multifighters in savate choose. ONE OF THE BEST VIDEOS ABOUT HISTORICAL FENCING EVER. GB CONGRATULATIONS. The 1595 Club was founded in Sussex, England in 2002 & is dedicated to the practise, study & re-birth of the lost martial arts of Europe. The aim of the 1595 is a practical & innovative exploration of Saviolos work - his principles, techniques & philosophy; not only of his chosen forms but also the application of these criterion to other weapons, weapon combinations & as the basis for a system of unarmed self-defence & combat. This art to be the beginning and foundation of the art Militarie - Vincentio Saviolo. Can we control an expansion so-called THAI - SAVATE? What about savate in Spain? About non-typical french boxing (similar to kickboxing and ITF taekwondo) and canne de combat that doesn't exist? About the book called "Savate war beetween NORTH and SOUTH"? 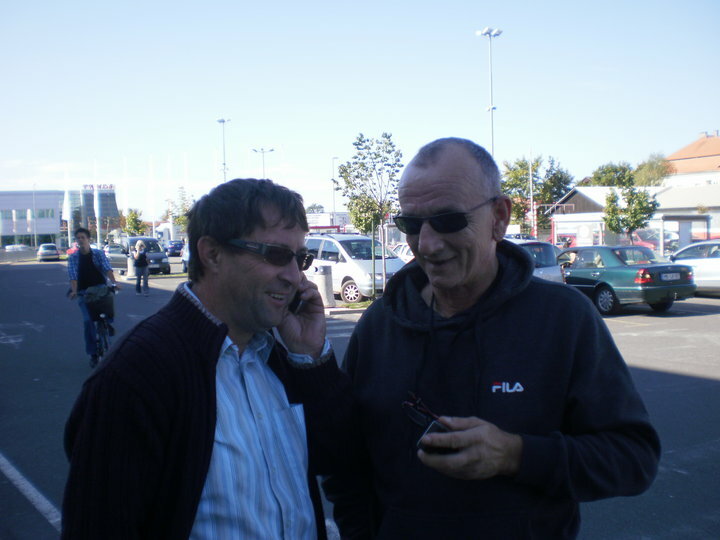 About the French instructors visting SOUTH, and European championship organised in the NORTH? About the english boxers from NORTH and ITF taekwondo practitioners from the SOUTH of Spain? Is there really battle for savate in Spain? Opinions are different but many of us think about big dramaturgy of the same people. The only question is when we compare Italy with Spain that we have the same divorced situation and another big country where the status of savate sport is unidentified. Two federations, two battles and both fractions doesn't specialize savate as the only one sport but they try to have savate just as an additional once a year competition discipline. (Follow the Serbian and Croatian (let's say Balcan way)). WHERE ARE FEDERATIONS WHICH REALLY SPECIALIZE SAVATE? HOW MANY REGIONAL TOURNAMENT WE ORGANISE EXCEPT WORLD AND EUROPEAN CHAMPIONSHIPS? AND WHY CANNOT SAVATE INTERNATIONAL FEDERATION CLOSE ITS DOORS TO KICKBOXING, MUAY THAI, ENGLISH BOXING AND OTHER ALIENS? THE ANSWER IS BY MY OPINION VERY EASY. DICTATE DOESN'T COME FROM SAVATE. A FAMILY OF MONEY IS BIGGER AND STRONGER THAN JUST A LITTLE FIS. 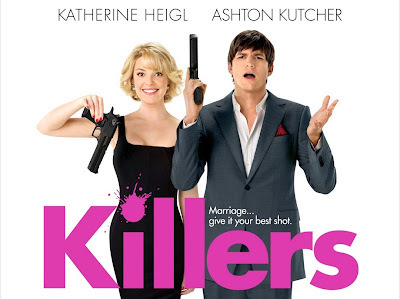 WE JUST FOLLOW AND ACTORS ARE ACTING. LIFE GOES ON. Many years we talked about unique sport called savate. About one federation called FIS. Like Muay thai talked about one Muay thai sport. These days we recognise an old and prooved tactique of mixing reality which is very easy. FIS - International savate federation created Chauss fight section with its head Christian Robert, Marseille, France in 2008 in Paris on FIS assembly after World assaut savate championship in the building of French Olympic Committee. Christian Robert assisted with savate and chauss fightin a TV documentary called Fight Quest. And Christian organised also World savate combat championship 2007. 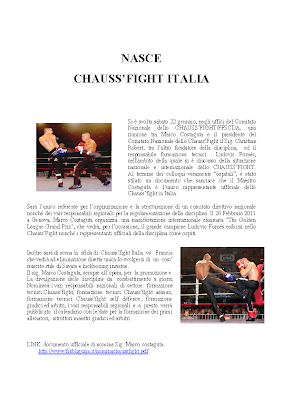 But overnight after premier fights in Chauss fight with Silvia La Notte and her WAKO PRO manager Giorgio Castoldi, in 2009 Christian Robert became the main International savate federation enemy. The worst man in the savate world. FIS - International savate federation doesn't want to hear nothing about so called Chauss fight and they create their own style called SAVATE - PRO. And Ludovic Fornes very efficient (French savate federation) savate combat fighter became recognised chauss fight face in France. So at this moment the same people play two roles in two international savate federations. 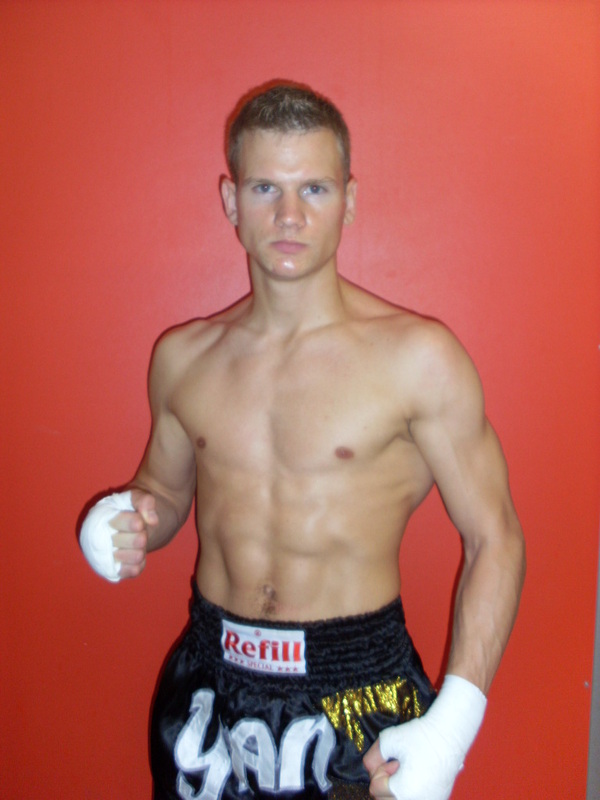 Christian Robert plays it for the side of Kickboxing and Muay thai and the other SAVATE - PRO group within FIS plays it for - hmmm (WAKO PRO?) - probably for nobody. And in Italy we have interesting divorce of the same and unique savate federation in two groups. FISa - Alfredo Lallo group (we call it official) and on the other hand the other one full of money and much, much bigger which is in Italian kickboxing federation called FIKB - with the help of Mameli savate. 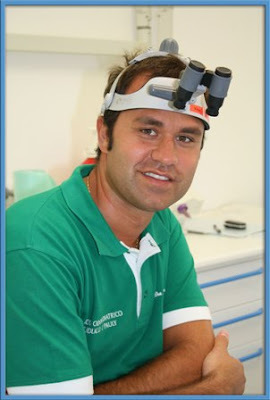 These days Marco Costaguta became representative of Chauss Fight also. And Marco Costaguta talked also about organising FISU world savate university championship in Genoa, Italy 2012. 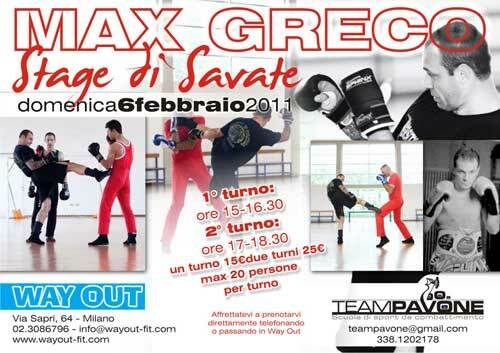 People can you tell me please if this is not a creation of new savate section in Italian kickboxing federation? The same way like Muay thai section was created although they have FIMT - Italian Muay Thai federation recognised by IFMA? Mameli savate which is in the same FIKB group finished savate regional tournament under FISa (Alfredo Lallo group) on 22th of January 2011. But just few days before they became new Italian kickboxing federation member - FIKB savate group. As the biggest CHAUSS (savate shoes - for example RIVAT shoes) buyers International savate federation and French savate federation cannot make special arrangement with RIVAT not to distribute their shoes to Christian Robert or FFSCda - French federation of contact sports http://www.sportsdecontact.fr/ or WAKO or FIKB. Also they cannot make nothing against Chauss fight which is protected name (Reserved , copyrighted - Hell yes). The biggest police contact sport in France called savate is crying - God help us. And we shell beleive it. Don't you think that the same player is playing the same BIG international game all the time no matter what is the name of the game or martial art discipline? Where are now big people and honorary presidents of FIS International savate federation - like Ubaldo Paschini (Italian judo) and others that we don't see them on savate tournaments but we see them on apictures in Lousanne, Switzerland with Jacques Rogge (IOC - International Olympic Committee). Cannot they help us now when we need their decision about where is savate at the moment in the eyes of IOC and Sportaccord? Or they have bigger future plans for us? Si è svolta sabato 22 gennaio, negli uffici del Comitato Nazionale dello CHAUSS’FIGHT/FFSCDA, una riunione tra Marco Costaguta e il presidente del Comitato Nazionale dello Chauss’Fight il Sig. Christian Robert, tra l’altro fondatore della disciplina, ed il responsabile formazione tecnici Ludovic Fornés, nell'ambito della quale si è discusso della situazione nazionale e internazionale dello CHAUSS’FIGHT. Al termine dei colloqui veramente “ospitali”, è stato stilato un documento che sancisce che il Maestro Costaguta è l’unico rappresentante ufficiale dello Chauss’fight in Italia. Sarà l’unico referente per l’organizzazione e la strutturazione di un comitato direttivo nazionale nonché dei vari responsabili regionali per la regolamentazione della disciplina. 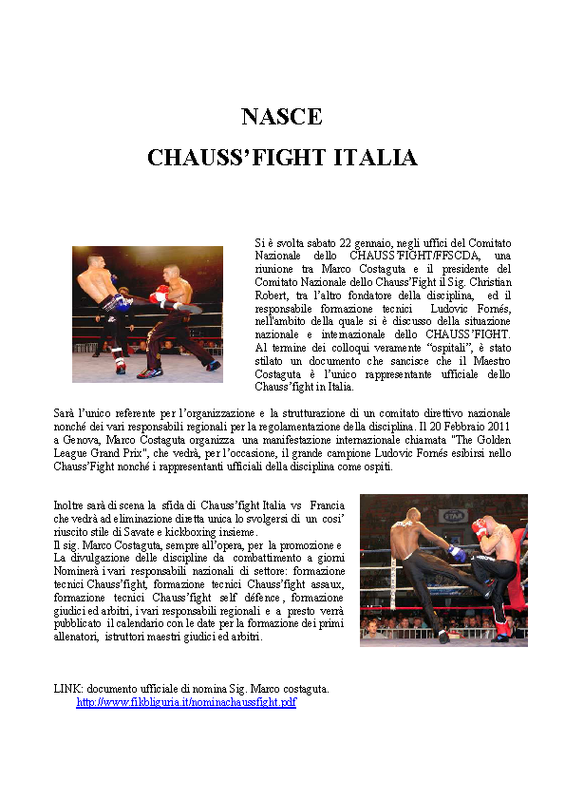 Il 20 Febbraio 2011 a Genova, Marco Costaguta organizza una manifestazione internazionale chiamata "The Golden League Grand Prix", che vedrà, per l’occasione, il grande campione Ludovic Fornés esibirsi nello Chauss’Fight nonché i rappresentanti ufficiali della disciplina come ospiti. Nominerà i vari responsabili nazionali di settore: formazione tecnici Chauss’fight, formazione tecnici Chauss’fight assaux, formazione tecnici Chauss’fight self défence , formazione giudici ed arbitri, i vari responsabili regionali e a presto verrà pubblicato il calendario con le date per la formazione dei primi allenatori, istruttori maestri giudici ed arbitri. LINK: documento ufficiale di nomina Sig. Marco costaguta. 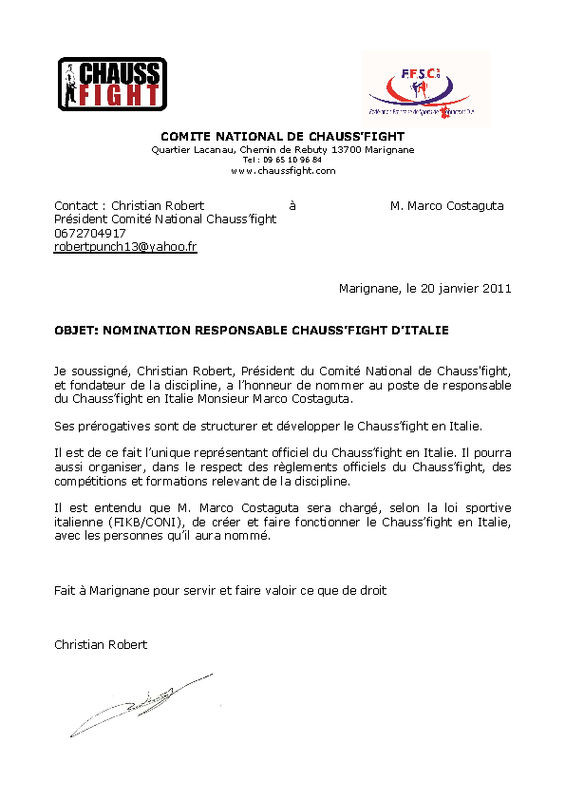 Je soussigné, Christian Robert, Président du Comité National de Chauss'fight, et fondateur de la discipline, a l’honneur de nommer au poste de responsable du chauss’fight en Italie Monsieur Marco Costaguta. Ses prérogatives sont de structurer et développer le Chauss’fight en Italie. Il est de ce fait l’unique représentant officiel du Chauss’fight en Italie. Il pourra aussi organiser, dans le respect des règlements officiels du Chauss’fight, des compétitions et formations relevant de la discipline. 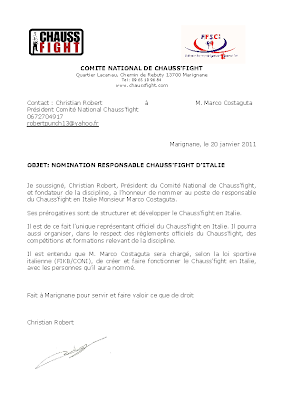 Il est entendu que M. Marco Costaguta sera chargé, selon la loi sportive italienne (FIKB/CONI), de créer et faire fonctionner le Chauss’fight en Italie, avec les personnes qu’il aura nommé. Does Gerhard Scmitt president of Savate federation Germany knows anything about it? Police officers like savate because savate is actually "LE FLIC" sport. Remember Brigades du Tigre - episode. And Yonnel Kurtz - photographer and savate media (film) promoter - remember Deadly arts - SAVATE documentary, was the person to teach another police-woman from Germany Julia Irmen Goldner about savate "above the waist" techniques. Julia spent 3 days in Paris (near THE EIFFEL TOWER). See savate French connection with AIBA and WAKO. This is regular way of spreading savate sport? 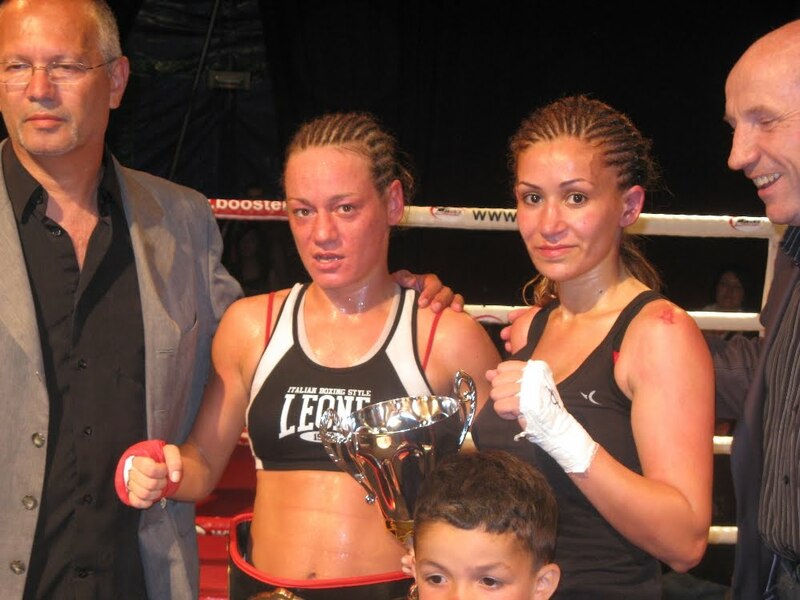 Im Zusammenhang mit dem Weltfrauentag verbrachte Kickbox-Weltmeisterin Julia Irmen vom TSV Plattling mit ihrem Trainer Kai Becker ein Wochenende in Paris. Der für das französische Kickboxen verantwortliche Präsident Yunell Kurz hatte zu einer drei Tage dauernden Trainings- bzw. Promotionsveranstaltung eingeladen. In unmittelbarer Nähe des Eiffelturms war eine große Halle angemietet, in der alle Frauen, die Spaß an Sport und Bewegung haben wollten, neue Sportarten ausprobieren konnten. Dazu gehörte auch Kickboxen, das in Frankreich „Savate“ heißt. Julia Irmen und Kai Becker gaben den interessierten Frauen mittels einer kleinen Vorführung einen kurzen Einblick in die Regularien der für sie noch neuen Kampfsportart. Danach durfte unter dem Motto „selbst ist die Frau“ fleißig praktisch ausprobiert werden und das wurde zum Erstaunen von Julia Irmen von einem Großteil der Anwesenden sehr positiv angenommen. Es stand erkennbar der Spaßfaktor im Vordergrund, was für die Deggendorfer Bundespolizistin Irmen eine willkommene Abwechslung zu ihren momentanen Trainingsmaßnahmen bedeutete. 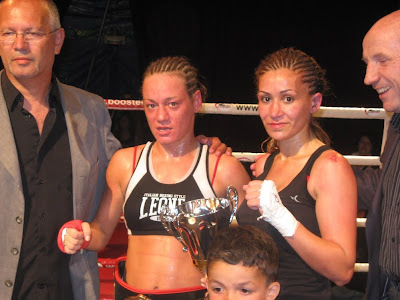 Chargé de la promotion et du développement de la Savate Boxe Française, de la Canne de Combat et des discplines associées surla Capitale (Webmaster http://www.cdbf75.com ). o Chef de projet dans les applications nationales « Gestion de l’habillement de la police nationale » (encadrement de 5 collaborateurs dont 2 prestataires), « Balingo » (2 personnes), « Permis de conduire ». Will we see Mameli in FIKB and in FISa? Did Italian savate really lost its compas? Is International savate federation really satisfied with the uncontrolled chaos around savate sport in Italy. Does anybody want to protect Alfredo Lallo (known as singer of Adriano Cellentano songs)? Are other savate federations also scarred about absence of any interest from the FIS - International savate federation to protect national savate federations rights about savate sport? Interpretation: Americano, Italiano, Francese. Different styles of behaviour. FIKB - Italian kickboxing federation without any permition of FIS - International savate federation promotes savate sport as its own in Italian Olympism. Isn't it weird? FIS - International savate federation recognise in Italy only FISa - Italian savate federation which is not part of FIKB. And FIS - International savate federation doesn't react? Rome, 15 January – on occasion of the remittance of the Olympic Order to the Italian Foreign Minister Mr. Franco Frattini, CONI President Giovanni Petrucci, Secretary General Raffaele Pagnozzi, and IOC members in Italy Vice President Mario Pescante, Franco Carraro and Ottavio Cinquanta went to Lausanne last Thursday, where they met President Rogge. The Olympic Order, the IOC’s highest distinction for those who distinguish themselves in activities for Olympism, was awarded to Minister Frattini for his commitment towards sport and Olympism, and in particular for his contribution to obtaining permanent observer status with the UN General Assembly for the IOC. The presence of the IOC within the UN Assembly – where it is represented by Vice President Mario Pescante – was strongly supported by Italy and its Foreign Minister, in the belief that sport is a fundamental component of political culture and of development, and that it greatly contributes to bringing peoples closer. The award will be further celebrated at the next CONI national meeting. Professional fighters - K-1 - round 3x3 min – category -50 kg. WAKO - PRO system. 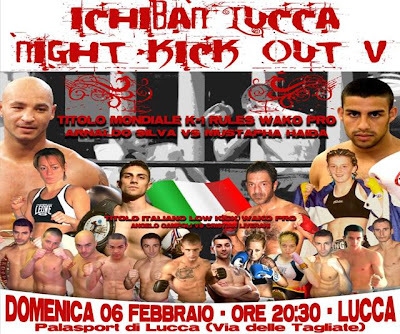 FIKB - kickboxing federation of Italy is also part of this system, but Silvia La Notte is part of FIKB (FIKB registered fighter) and not anymore part of FISa - Italian savate federation? Hard to beleive? Is savate really divided in Italy? Hard to beleive? TERMINOLOGY AND IDENTITY IS THE THING WE WILL HAVE TO WORK ON IN THE NEAR FUTURE. PanARMENIAN.Net - Armenian national kickboxing team will leave for the Serbian capital Belgrade on June 17 and take part in the qualifying round of the European kickboxing (French boxing) world championship between June 18 and 20. According to the founder and president of the French box federation of Armenia Robert Rostomyan, the national team will be represented by 4 boxers: Smbat Haroutyunyan (65 kg weight class), Aram Margaryan (70 kg weight class), Gevorg Torosyan (75 kg weght class) and Vahe Gevorgyan (60 kg weight class in the tournament among juniors). "Our federation was founded in 2003. Since then we have been very successful. In 2005 we brought the Silver from the world championship, in 2006 we won Bronze in the European championship, and in 2007 in the international tournament in Greece 6 our sportsmen took first places, and two were awarded silver medals," Mr. Rostomyan said, adding that he now has big expectations from the coming championship in Serbia. "We also project to held championship in Armenia. Belgium will host European championship and we have already been invited to take part in it," Mr. Rostomyan said. Mike from Littleton, Colorado, United States we have never seen in our savate world shows beautiful demonstration of savate kicks. Very nice. I still don't know if Jogo do Pau ever wanted to join savate just to help long stick fighting art to survive in Europe. Many do the same thing - the last one I know was Sambo (that was part of Wrestling non-olympic sports). Later Sambo found his own way. But all in all - now we have two stronger sports, and both alive. You remember small Giorgio with Silvia La Notte in Japan? Genoa, Italy 11th of January. Marco Costaguta (left), president of Kickboxing federation Italia - region Liguria and Piero Picasso (right), CEO Unicredit and ex "Mameli Savate ASD 1908" and Ennio Falsoni (middle)- president of Kickboxing federation Italia - FIKB met to "renew" Italian Savate. Picasso should become new coordinator of Savate sector in FIKB - Kickboxing federation Italia. Nicola Guiducci (Mameli savate trainer), became technical director for savate sector in a region of Liguria as a part of Kickboxing federation Italia FIKB. 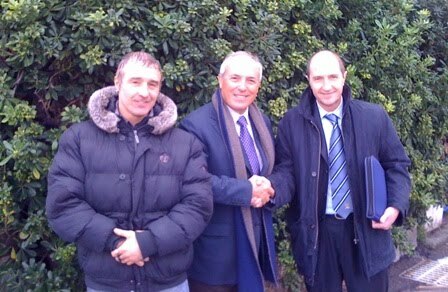 His supporter will be also Secci Boido (remember Mauro Boido?) of national technical level. They talked about incorporating also all other FISa clubs (Alfredo Lallo group) in Italy in FIKB - Italian kickboxing federation. Do you recognise your savate friends that you meet twice or once a year? And you name it typical savate behaviour? Yes it is. Outside France of course. Kik-boks savez Vojvodine - Kickboxing federation of Vojvodina was established 8th of August 1998 No. : 661-02-2609/98-03 - control No. : Ministry of Youth and Sport Vojvodina. * Taekvondo club „Becej“ Becej. 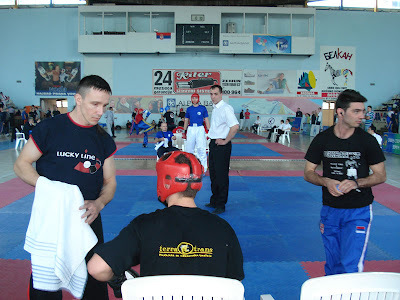 An old friends taekwondo, kickboxing and savate before 2003 - Savate federation of Serbia was established. All in all - small group of people do all stand up martial arts and sports in different sport dresses. The way it is. And Wu shu federation of Vojvodina is a member of Kickboxing federation of Vojvodina. Like skiing in skating. Nice.. 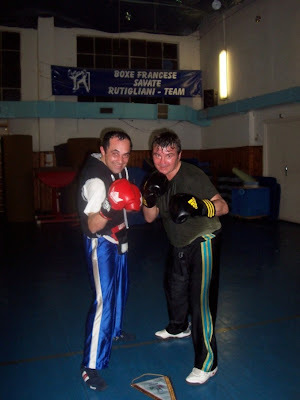 Does French savate federation needs promotion and communication? Try to find facebook site of the biggest national savate federation in the world - French savate federation - called also Federation Francaise de SAVATE boxe francaise. Without an old forum on their webpage and without newsletters everything looks a bit stranger. To many FISU world university championships? 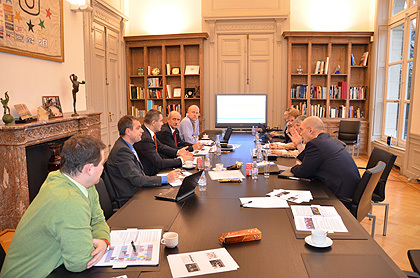 BRUSSELS - On Thursday, January 13th, a WUC CTI meeting took place at the FISU HQ in Brussels. The meeting was attended by FISU CT Chair Sinisa Jasnic, its vice-chair, Matjaz Pecovnik; the FISU Secretary-General/CEO Eric Saintrond and FISU Directors Laurent Briel, Marc Vandenplas, Milan Augustin, and Sports Manager Michal Buchel and Nicole Mangelschots, WUC Assistant. Two members of the Executive Committee, Alison Odell and Kemal Tamer also joined this meeting. Facts and recommendations to the number of sports at the program of the World University Championships were studied. A policy statement for the management and development of the World University Championships program was written. The purpose of this policy, the key aims and objectives, as well as its process, time line of the bidding process for the WUC, process for the application and inclusion of news sports, criteria for selection of a new sport or withdrawal of an existing sport at the program of the WUC were analysed. Finally, recommendations of the FISU Regulations Committee after the 2010 WUC edition was transmitted to the group for their examination and recommendations to accept those suggestions from the CTI chairs were made. General matters such as the program of competitions, the level of referees and the selection of teams and the team draws were also discussed and proposals were made. All those recommendations will be forwarded to the FISU Executive Committee tomorrow morning for their examination. This meeting has been prepared in view of the next Executive Committee meeting on January 25th in Erzurum, Turkey. Congratulation to Croatian savate and to Zeljko Jarec. But on the other hand he invited an old and traditional taekwondo-kickboxing club Osijek in Savate federation Croatia (wherever it exists). Picture: Vjekoslav Beck (taekwondo ITF man) on a visit in Ptuj at a president of Kickboxing federation Slovenia Vladimir Sitar (the man who changed left wing party to right wing party in the last political season (tried to be a mayor of a small city)). Don't forget that V. Sitar is a good friend also of Jotic (Novi Sad) - remember Muay Thai, Kickboxing, Savate expert from 2009 World combat savate championship. This move of so called Croatian savate will probably extend very good relations with Slovenian kickboxing, and on the other hand they have already very good connections with Slovenian Muay Thai. The only problem is when they will start to cooperate with savate? And another problem of their friend - Croatian ITF taekwondo and very similar sport WAKO kickboxing is - why they want to control savate in a year when Sportaccord AGFIS/GAISF will recognise ITF taekwondo as another official sport federation. To start savate in Croatia - there should be established first specialized university french boxing and canne de combat club in the capital of Croatia - city of Zagreb. 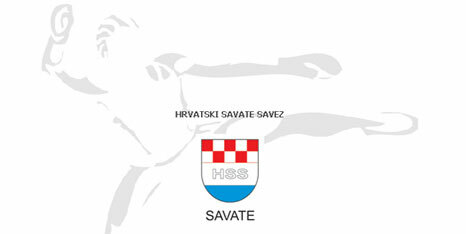 And don't forget - only savate club. When savate becomes kickboxing and kickboxing becomes savate. JKS GYM Pavia club returned from FSI to FISA. Italian chess. EUSA games - (FISU continental federation) - continetal Universiade. Future savate competitions there? 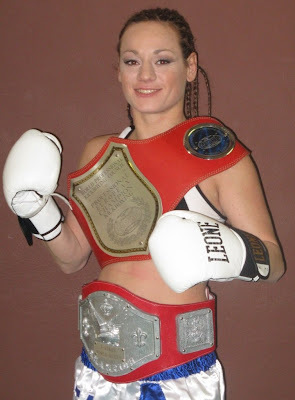 Fight of Tatiana Vassilieff (Canada) in 2007 for the savate world championship combat 2007 in Marseille, France. 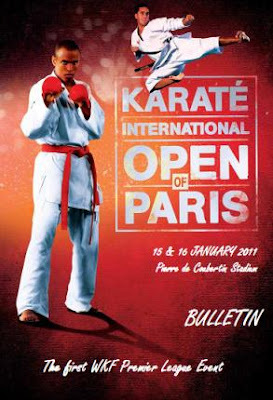 In Paris, France - center of savate sport also. These are places where SOKOL movement started SAVATE - boxe francaise and canne de combat in early days. From Czech these disciplines traveled with the help of SOKOLs to Zagreb(Croatia) and were introduced also to Balcan region.